It has been awhile since I wrote a catch all Blog. I thought I'd just check in and write one of those columns like Larry King used to where he'd throw out some random thoughts. I will confine mine to television. 1. I just started Mad Men and I love it. I always resisted watching Mad Men cause it seemed to me like the point of the show was that people used to smoke and drink at work. I am 5 episodes in and I am really loving it. I still think the worst part of the show is how they try to shove the drinking and smoking in our faces, but I see that it is much more. Honestly, I can't even pin point what I like about it, but it really entices me. I am excited to see where it goes. I know all of you already know where it goes so don't tell me. 2. I hate watching real TV. I have been watching Monday Mornings on TNT and the crap on the screen is out of control. It just seems so disrespectful. Also, why do they feel the need to tell us what we are watching WHILE we are watching it? I know what I am watching, that is why I am watching. I started Bates Motel, which I didn't like, but A & E made it so unpleasant, I didn't stick around to see if I would have. 3. I love Netflix. I really enjoy getting my TV this way. I imagine it must have been how drug addicts felt when they invented crack. The delivery system really purifies the high. Right now I am watching: Buffy, Mad Men, X-files and Everybody Loves Raymond all on Netflix. Two of these shows I own on DVD and I still prefer watching it on Netflix. Buffy really is better than Fire Fly. Buffy carries such weight and each episode informs the next. Fire Fly, while a really fun show, does not reach the level of what I expect from Joss Whedon. I wonder if it matters which show you watched first? 4. The X-Files really is good. I am still in season one but it really has a strong start. There is no way around that there are some clunkers in season one. Space has to be the worst episode ever. NASA doesn't let strangers run amok during the liftoff, but the characters were there from the pilot. 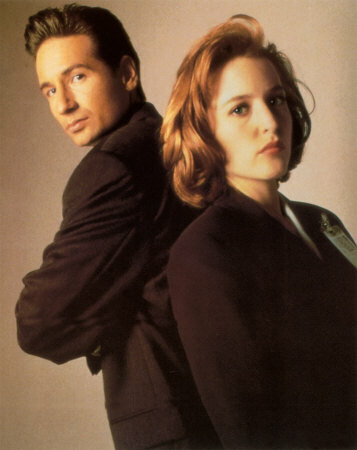 In fact, I think the X-Files pilot sets up it's concept quicker and cleaner than any Concept Show I have ever watched. 5. I recently finished rewatching Soap, the 1970's sitcom, and it really has held up well. I find it amazing that funny is funny no matter what year it is. Burt Campbell is one of the best characters ever created and he is totally the Grandfather of Kramer. If you have never seen this show, I suggest it. I laughed so hard all the way through the first 2.75 seasons. Also, Benson was hilarious. Chuck and Bob...I could go on and on. Susan Harris is definitely a hero of Television writing. 6. Community is just plain dead. I have only laughed one time all year and it was the Burn Notice comment. It took me 4 episodes to crack what is wrong with it. I believe that they are now trying to build each character like they had a real past. Before they were just tools for the writer to show us interesting commentary about how Community was basically the Anti-Friends. Now they are trying to use the characters like they have a real purpose or something. Some one please take this show out back and kill it. I used to love it with all my heart and it's been NBC'd. We won't speak of it again.